This weeks Friday Facebook Competition! As you may already know, Friday means Facebook Competition day here at Truffle Towers which means we give you lovely lot the chance to win free money to spend on the site! Happy days! This week, we came across this rather hilarious Barbie inspired pic so we couldn’t resist a caption related question! 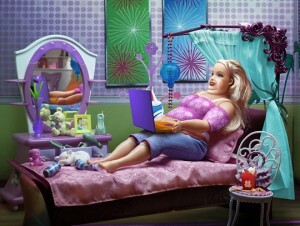 This weeks Friday Competition - give us your best caption on our facebook fan page for your chance to win! To enter, all you need to do is give us your best accompanying caption in the comments box on our facebook page. The funnier the better of course! We need your answers before 2pm as usual and the winner will be announced this afternoon. Get involved on our facebook page here for your chance to win and you can giggle along to all the other entries too! Firstly we would like to say a huge thank you to everyone who has entered our Twitter competition over the last couple of days. We had an impressive 116 entries in total. 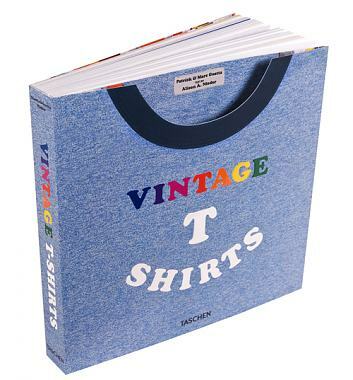 The prize is a copy of ‘Vintage T-shirts‘ by Taschen. The lucky number out of the generator was 79, so the winner of this competition is Nikki88Kiki, congratulations. We are making attempts to contact you now to arrange delivery of your prize. Once again a big thank you to everyone who entered. We are hoping to run more of these competitions in future, so keep following us on Twitter for more great competitions in the future. We are feeling generous at Truffle Towers today and have decided to run a small Twitter competition/giveaway. The competition will close at 10am (GMT) on Friday 19th November, so get your entry in ASAP.